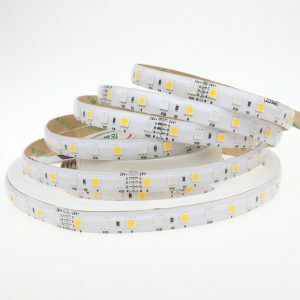 Strip width: 12mm. 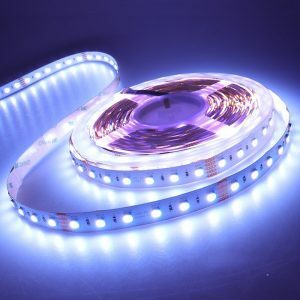 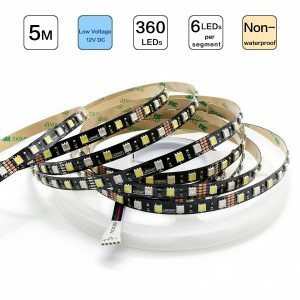 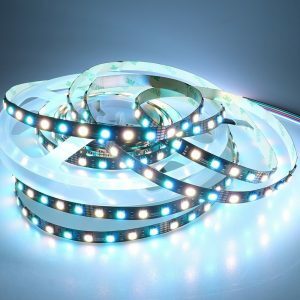 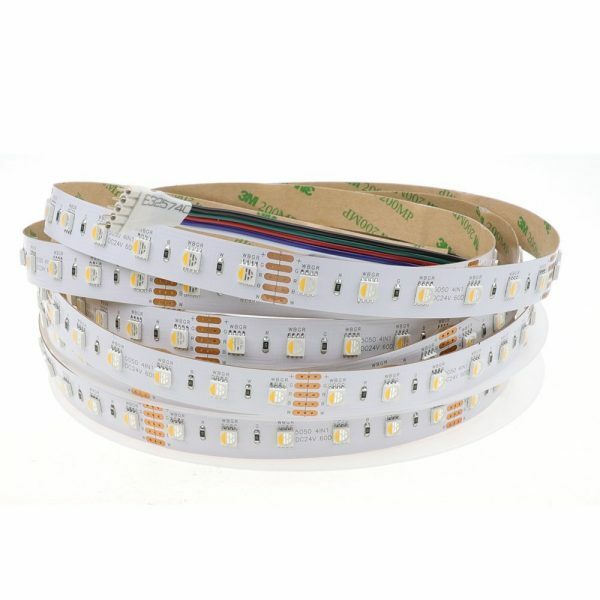 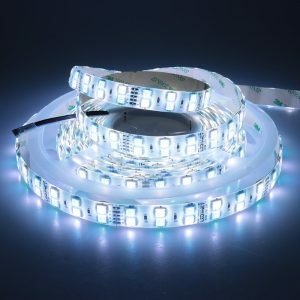 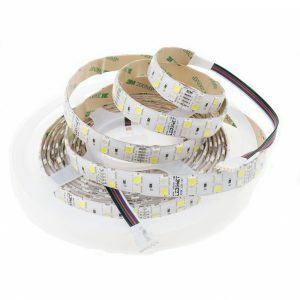 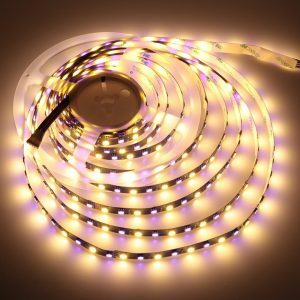 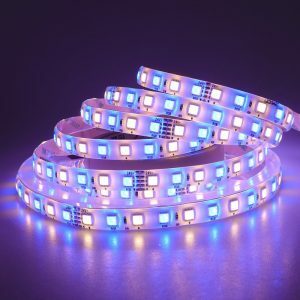 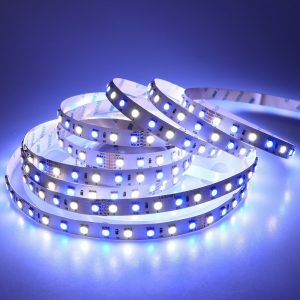 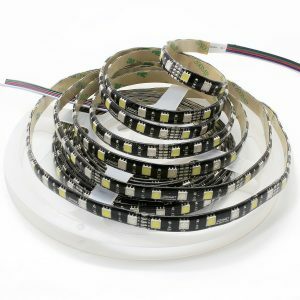 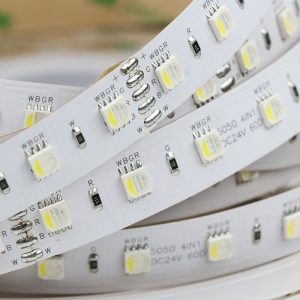 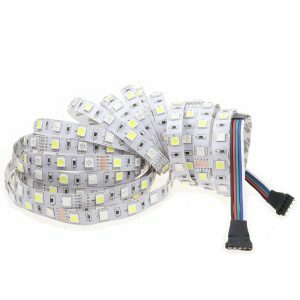 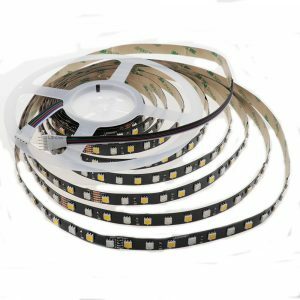 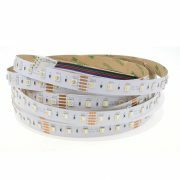 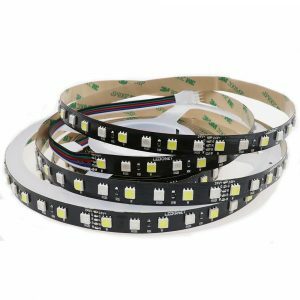 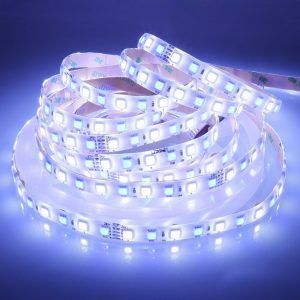 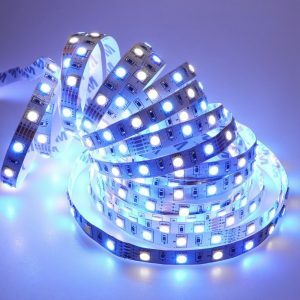 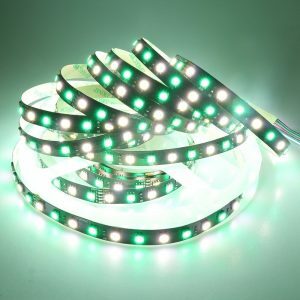 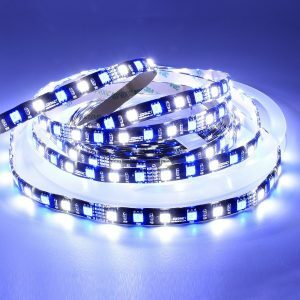 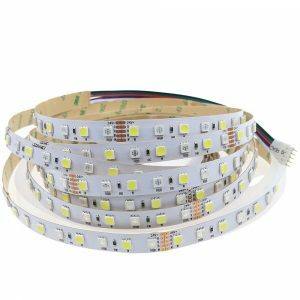 LED Quantity: 72LEDs/m, 360LEDs/roll(180pcs RGB LED and 180pcs Warm White LED). 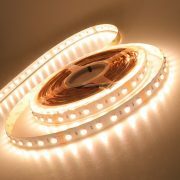 Black PCB board, can be cut every 12 LEDs at the marked intervals.